Hallmark Channel's most-watched and longest running primetime series, "When Calls the Heart," has gained a loyal following while eschewing romance as a modern-day hook up, says Brian Bird, the show's executive producer. In a recent interview with The Christian Post, Bird, who has worked in Hollywood for over 30 years, revealed he believes TV and film can stir up what he describes as soul cravings, and that has been his mission. Throughout his career, he has vowed to continue creating content that produces a hunger for family-friendly themes. Alongside his partner Michael Landon Jr., he takes times to develop the romantic relationships in "When Calls The Heart" as opposed to rushing them. "It's a chaste romance. It's far better to leave it to people's imaginations, and give them a sense of chase. The journey is just as important as the destination," Bird told CP. "We don't have many examples of a chaste romance in the media anymore." As described on The Hallmark Channel, the TV series tells the story of Elizabeth Thatcher (Erin Krakow), "a young teacher accustomed to her high-society life. She receives her first classroom assignment in Coal Valley, a small coal-mining town in Western Canada. There, life is simple — but often fraught with challenges. Elizabeth charms most everyone in Coal Valley, except Royal North West Mounted Police Constable Jack Thornton (Daniel Lissing) [who eventually falls in love with her]. The town of Coal Valley was renamed Hope Valley in Season 2 after the coal mine was closed." "The world's conditioned to see people get hooked up immediately," Bird explained. "I personally am not gonna to tell people that they can't do that in their own personal lives. But what I am going to say is 'there is another way and it's a healthy way' and we're trying to role model that on our show." Bird has written and produced dozens of films as well as 250 episodes for network television — including five seasons of the original TV series "When Calls The Heart" with Landon Jr. The series' storyline has resonated with millions of people across the world, which cultivated an ardent grassroots movement of mostly female fans known as "the hearties." The group of loyal supporters have enjoyed watching the main characters slowly falling in love, as opposed to one night stands and quick hookups which can be seen regularly on primetime TV. Bird has also been sure to offer several strong female characters in the show. The writers created the recurring slogan, "women can do anything men can do," while at the same time not being distasteful towards men. "Michael and I, when we first started this, we made a commitment to make sure that the show was full of strong female characters because I've been married for 37 years and my wife is a superhero, my mom was a superhero!" Bird declared. "Women are the only thing, I think, that keeps the world from blowing apart." The TV producer said he is committed to being inclusive of strong empowered women. However, his decision is not from the standpoint of being political about it. Adding, "It's more just because ... [women] are CEOs, they're multitaskers, they can do anything. A motivated woman can accomplish amazing things and they honestly have to in order to survive. They're the glue that keeps the world together in my opinion. So that's why the show is like that." "Most of the show's audience are women. And I do believe the idea of strong women is very necessary to depict for an audience of mostly women. We're giving the audience a taste of who they are and who they can be and should aspire to be," Bird continued. As a way to give their fans, the hearties, more, Bird and his partners created a devotional to go along with the hit TV series. 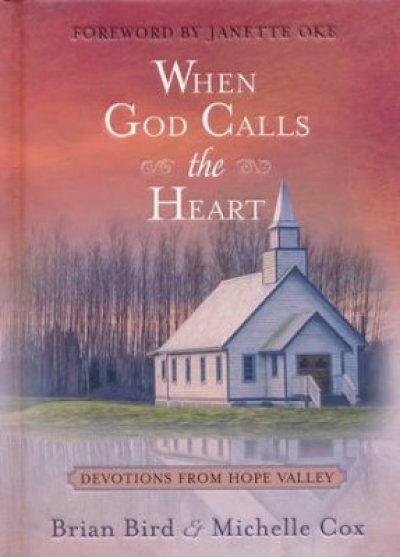 The fictional town of Hope Valley is a town that practices the great virtues of the Bible. While not explicitly promoting Scripture, the episodes highlight great virtues found in the Bible. The first devotional, released in February, was titled after the series. In September, Bird will be releasing another devotional that has a Christmas theme. A third devotional will be released in 2019. At a Hallmark TCA event in July, Crown Media announced that as "When Calls the Heart" gears up for Season 6, it will also have a spinoff show titled, "When Hope Calls." It will stream exclusively on Hallmark Movies, a new platform that will include original programming specific to the service.